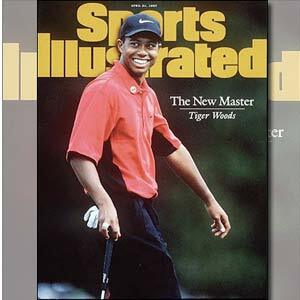 Studio 23 will air the return of Tiger Woods to the green for the 2010 Masters Golf tournament. It will be aired live from the Augusta National Golf Club from April 8 to April 12. All eyes will be on golf superstar Tiger Woods when he makes his return to the green via the much-anticipated 2010 Masters Golf tournament to be aired live from the Augusta National Golf Club starting Thursday (April 8) to Monday (April 12) on Studio 23. Woods, whose vehicular accident last November 2009 led to a controversy on his alleged marital infidelity, will vie for his fifth green jacket at the Masters, one of the golf world’s premier tourneys. This will be the embattled golfer’s first foray in competitive golf after losing a string of multimillion endorsements and taking an indefinite leave from golf. Woods faces tough competition with a field that includes fellow former Masters champions Phil Mickelson, Trevor Immelman, and Angel Cabrera, as well as other elite players like Retief Goosen, Sergio Garcia, and Anthony Kim. Follow Woods’ journey back to the top in Studio 23’s live coverage of the 2010 Masters starting Thursday (April 8) at 3 am - 5 am with replays at 2pm and 10:30 pm. Catch Round 1 on Friday (April 9) with replays at 2pm and 11 pm. Round 2 of the Masters will be on Saturday (April 10) at 4am with a replay at 6 pm while Round 3 will air live on Sunday (April 11) at 3:30 am followed by a replay at 6pm. The Final Round will be on Monday (April 12) live at 2am with replays at 2 pm and 7 pm on the same day and at 2pm on Tuesday (April 13).